Styled with continental 80 shoes , lyra skirt and lisbeth t-shirt . Comfortable fit. Sleeves a tiny bit short feeling, but, I have long limbs. The material is great and it arrived in perfect condition. 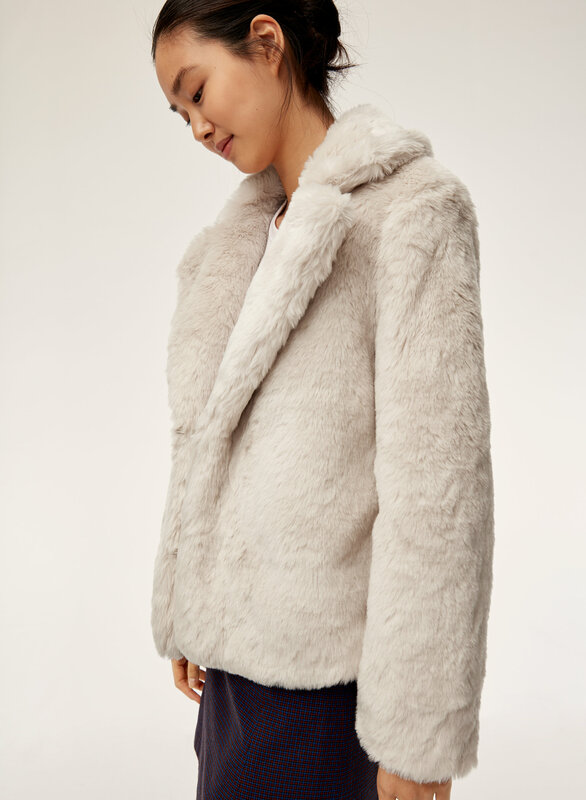 Great little jacket and so snuggly. Little hard to do up with hook closure. 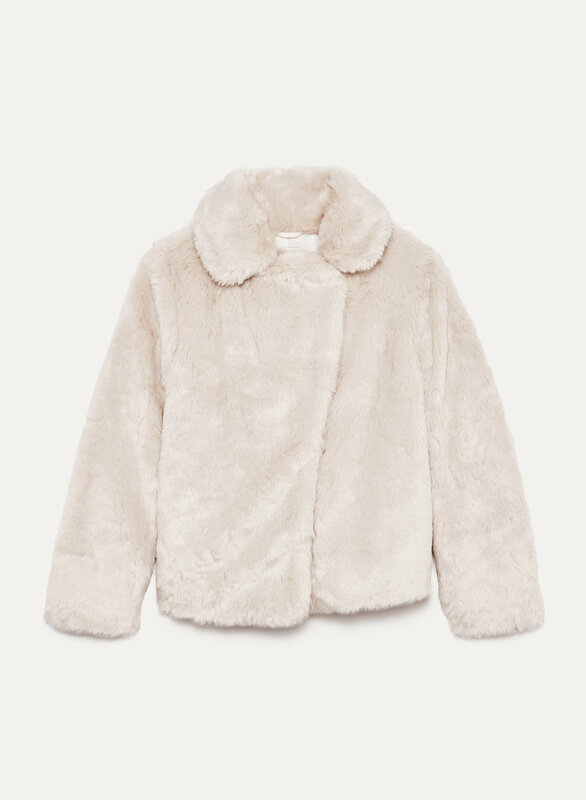 I bought this coat for my daughter and she has gotten a lot of compliments already while wearing it out a few times. It is very soft and has a luxurious feel to it. She found that she prefers wearing thin clothes under the coat otherwise it gets a little too bulky. 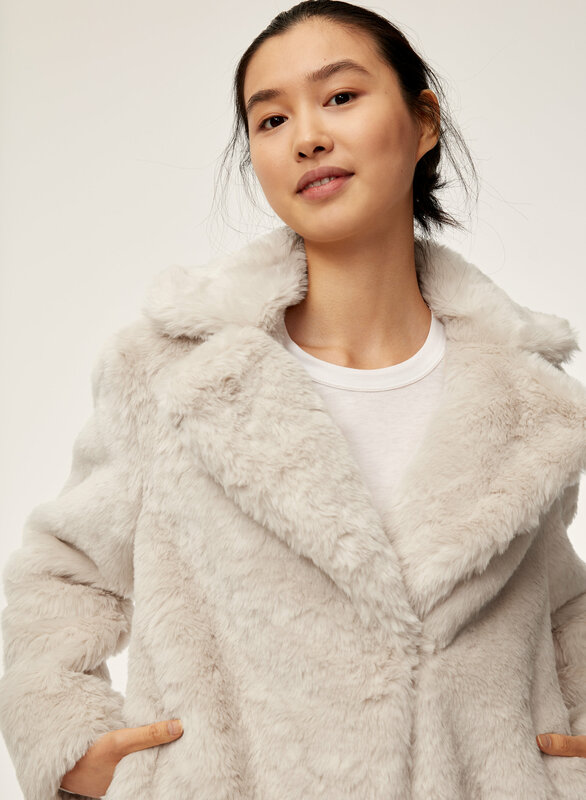 The length is perfect for a short coat and it's now a steal because it went on sale. 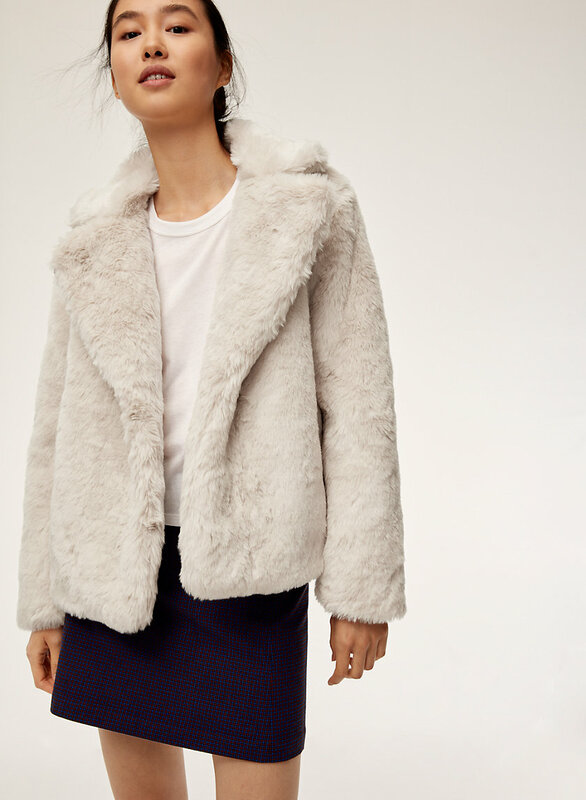 This jacket is amazing in both quality and look. I've received so many compliments from the first night of wearing it! 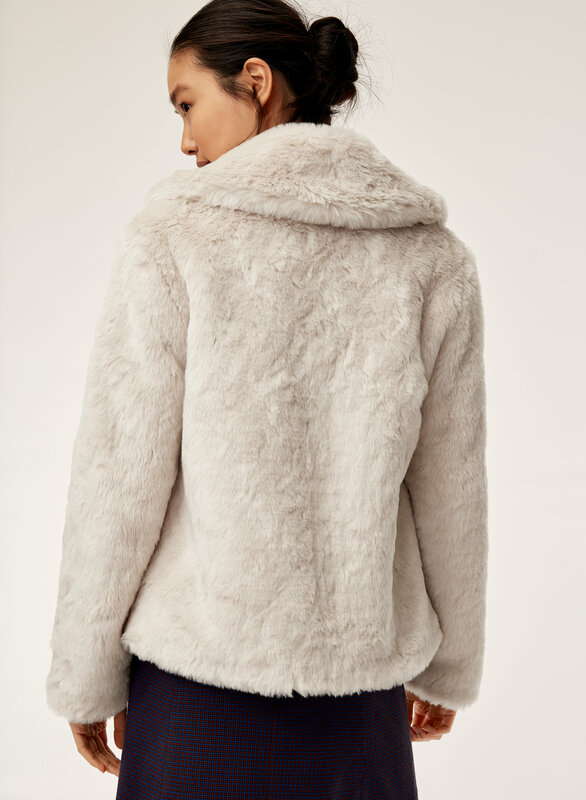 The faux fur is really soft and fluffy. Nice colour. Can’t wait to wear it to Christmas party.